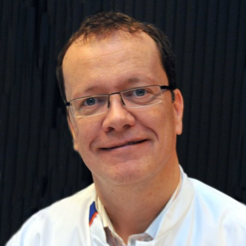 Biography: In almost 30 years of clinical activity I worked at three academic university hospitals in two European countries, getting a broad overview and being involved in multiple teaching activities in the fields of anaesthesiology and intensive care medicine. My PhD thesis at the University Hospital in Düsseldorf, Germany included numeral studies on cardiovascular physiology, and was completed in 1999 after which I got my Habilitation (Associate Professor, Privat-Dozent). I was appointed as a full Professor of Clinical and Experimental Anaesthesia at the University of Rostock, Germany in 2004, and as full Professor of Anaesthesia and Cardiovascular Physiology at the University Medical Center in Groningen, The Netherlands in 2010. At present, I run an active research group on cardiovascular physiology and hemodynamic monitoring at this Dutch University hospital. My long-lasting interest in the fields of cardiovascular anaesthesiology and physiology, particularly focussing on haemodynamic monitoring including the microcirculation and tissue oxygenation, has led to more than 100 peer reviewed publications in international scientific journals and numerous lectures at national and international scientific meetings. I am currently Chair of the Scientific Subcommittee 14 (Monitoring, Ultrasound and Equipment) of the European Society of Anaesthesiology as well as Deputy of the Section Cardiovascular Dynamics of the European Society of Intensive Care Medicine. Furthermore, I am Associate Editor of the Journal of Clinical Monitoring and Computing.